Pretty much ANY online purchase. NOTE: purchases NOT included: airlines, cruises, car rentals, hotels, utility bills, government products, and tuition. MAKE SURE YOU LOG-IN TO YOUR DISCOVER ACCOUNT AND "SIGN-UP" FOR THIS OFFER BEFORE YOU START USING YOUR CARD! Amazon Payments - You can charge your card $1,000 per account every month. Just send your spouse, friend, etc. $1,000 and have them do the same. 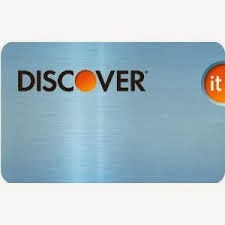 Don't Have a Discover Card? Hurry and apply for one, so you can start earning you free $75. You should get it within a couple of weeks if you apply today. Plus when you sign up with the link from this post, you'll get an extra $50 for just getting the card. It's actually a great card to have. I've racked up $300+ in various cash back deals like the one on this post over the last year. Disclaimer: I never recommend getting a credit card if you don't pay it off in full every month and/or are not wise with how you use it.